Lamb has been a central feature of my cooking recently. My favourite braised lamb has been cooked, for friends and taught to my clients, repeatedly with over whelming success in the last few months. 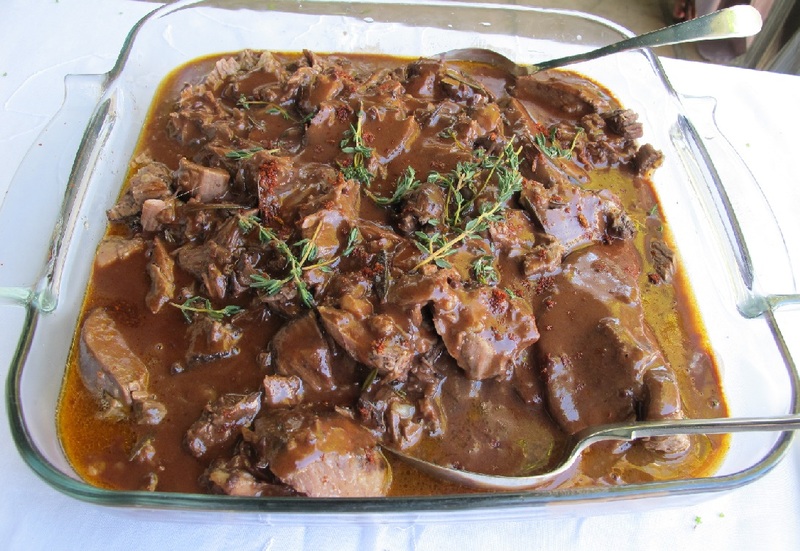 It is so deliciously succulent and tender and the gravy is just tangy, savoury and silky. A truly lip licking meal. So considering the time for family, friends and feasting is nearly upon us, give this recipe a try. You will not be disappointed. A few things to consider for the success of this dish – do not short cut on the timing, it needs slow and long cooking. 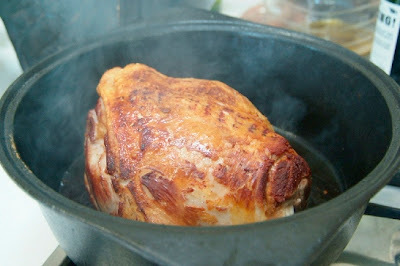 The meat needs to be covered with braising fluid but if that is not possible it needs to be turned occasionally. A good roasting pan, casserole dish or oven proof pot with a well fitting lid are ideal but covering the meat with tin foil is also acceptable – it’s just a bit of pain to lift the foil, turn and baste the meat and reseal the foil repeatedly, but it still works. You can improvise on the braining fluid flavour as you like, the below is just a suggestion. I love adding red wine and different herbs and whole grain mustard, using up veggies in the fridge and herbs from my garden. I have used the same method with beef and pork and added things like apple juice, cider, cranberry preserve and sage as elements of my braising fluids. Yum… now I’m getting hungry for lamb again and it’s not even lunch yet. Pre-heat the oven to 150°C and place the rack in the middle of the oven. In a heavy pan, heat the oil over high heat, then add the lamb and sear it thoroughly, using a pair of tongs to turn it. When a nice brown crust has developed on all sides of the meat, remove it from the pan and set it aside. Add the onions and garlic to the pan, after a few minutes add the carrots and celery. Fry until the onion is slightly translucent. Combine all the remaining ingredients in a brassier or casserole dish. Then add the lamb, onions and garlic mixture and cover with a tight-fitting lid and transfer to the oven for 4-5 hours or until the lamb is tender. Remove the pot from the oven; take out the lamb and set it aside, covered, while you make the gravy. You should see a layer of fat on top of the braising liquid. You will use this fat to thicken the sauce. Skim off as much fat as you can, and save about ¼ cup of it. You can discard the rest, as it would make the sauce too greasy. If there isn’t enough fat add butter or oil to get the required amount of fat. Strain the braising fluid through a sieve and throw away the chunky bits. Heat the fat in a separate pan, then whisk in the flour until a paste forms. Fry for a few minutes, stirring continually. 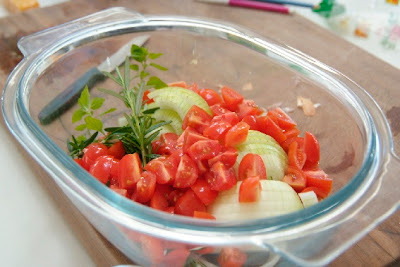 Remove from the heat and stir in 2 cups of braising fluid. Whisk the two together until combined. Return to the heat and whisk until it thickens. Add as much braising fluid as is needed to get the sauce to the desired consistency. Season with mustard, salt and pepper to taste.